An ergonomic flush cutter that is ideal for cutting cable ties and leaving a smooth, flat finish against the head to eliminate spikes which can scratch and injure workers is available from Xuron Corp. of Saco, Maine. The Xuron® Model 2275 Cable-Tie Cutter features soft Xuro-Rubber™ hand grips, a Light-Touch™ return spring, and provides full cutting along the entire length of the blades. Employing bypass cutting rather than compression cutting which often produces spikes, this cutter is ideal for trimming cable ties flush to the head; leaving a smooth, clean cut that is safer to handle. Developed for electronics assembly workers and wire harness applications, the Xuron® Model 2275 Cable-Tie Cutter fits comfortably in any size hand, left or right, and has no cumbersome finger loops. 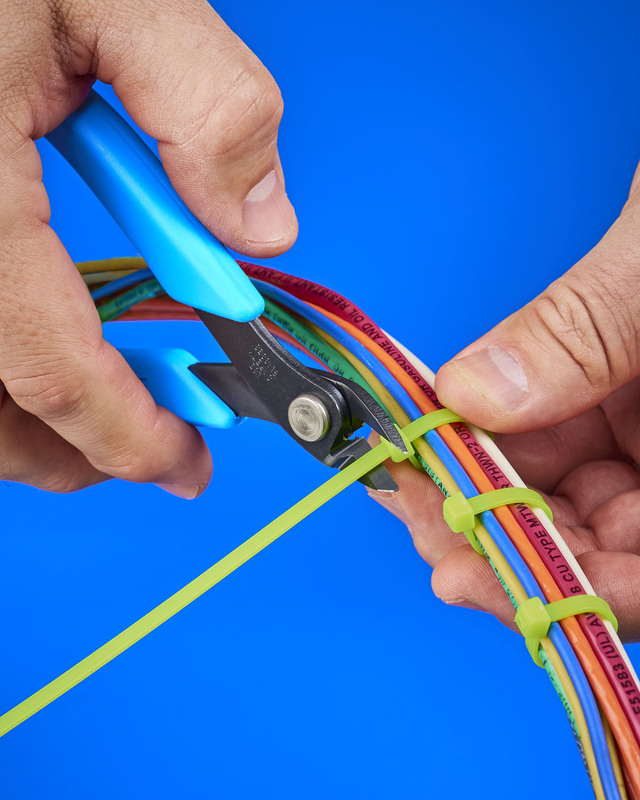 In addition to wire bundling, it is ideal for cutting cable ties used for closing tote boxes, securing signs, attaching portable chairs, packaging, and other purposes. The Xuron® Model 2275 Cable-Tie Cutter sells for $18.80 (list). A complete catalog is available on request. Distributor and dealer inquiries invited.